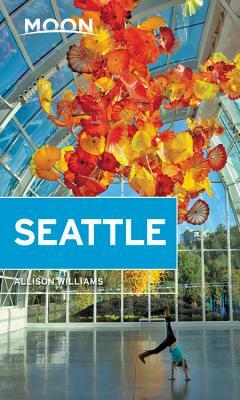 Allison Williams is a Seattle-based writer, specializing in travel and feature coverage for Seattle Met magazine. The things she loves most about her city are its energy, its international cuisine, and the coin-strewn fountains in the Pacific Science Center. As a journalist, she's interviewed Ethiopian refugees, cancer researchers, Bigfoot hunters, and fishermen poets. Allison grew up south of Seattle in Olympia. She received her bachelor's degree in biology and English from Duke University, with studies at Oxford University and an ethnobiology field school in Costa Rica. After working as a writer and editor in New York City for eight years, with staff positions at Metro daily newspaper and Time Out New York, she earned her MFA in creative writing at the University of Alaska Anchorage, where her fiction thesis won the Jason Wenger Award for Literary Excellence. Allison's journalism has been recognized with awards from the Society of Professional Journalists and a nomination from the City and Regional Magazine Association. Today, Allison lives with her dog Omak in Seattle's eclectic Capitol Hill neighborhood, where she can see the Space Needle, the arches of the Pacific Science Center, and the Olympic Mountains from her living room windows.